Cebgo, a subsidiary of Cebu Pacific, launches domestic flights out of Clark (CRK) and Cebu (CEB). CRK to Caticlan: daily starting 15 May. CRK to Busuanga: every Mon-Wed-Fri starting 15 May. CEB to Busuanga: every Mon-Wed-Fri starting 15 May. For bookings and inquiries, guests can visit http://www.cebupacificair.com or call the reservation hotlines (+632)7020-888 or (+6332)230-8888. The latest seat sales can be found on CEB’s official Twitter (@CebuPacificAir) and Facebook pages. Guests may also download the Cebu Pacific official mobile app on the App Store and Google Play. Starting December this year, the country’s largest airlines Cebu Pacific (CEB) will increase its flights out of Clark International Airport. CEB currently operates 21 weekly flights out of Clark to Singapore, Cebu, Hongkong, Macau. 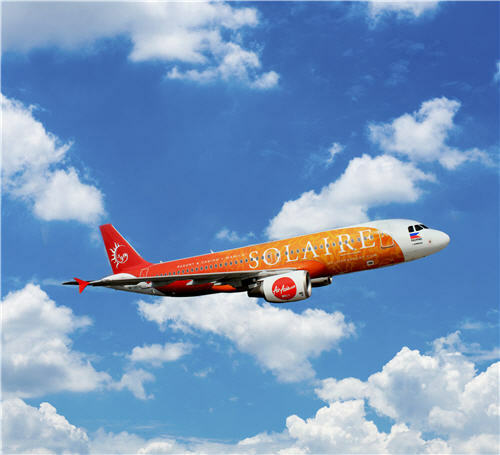 CEB will increase these to 27 weekly flights. CEB hopes to stimulate economic trade and investments in Central Luzon. High Speed Rail Not Needed for Clark Int’l Airport? Citing the realities of international and domestic air travel, a top official of an American knowledge management firm said a high speed rail system between the Clark Freeport Zone and Metro Manila is unnecessary for the full operation of the Clark International Airport. Dennis Wright, president and CEO of Peregrine Development International Incorporated (PDI), emailed last February 18 a copy of the article he wrote for the American Chamber of Commerce Philippines’ monthly Journal wherein he tagged as “folklore” the claim about the need for high-speed rail to service Clark airport. The chief of PDI said overseas Filipino workers (OFWs) and their families are also unlikely to use the high speed rail. “It is hardly likely that a large family wanting to greet a returning OFW or send one off to work (abroad) will gather at the train station for a trip to and from the airport,” Wright said. “Also, have you ever tried doing a bag drag and/or Balikbayan boxes from an airport terminal to a rail terminal and on and off the train car to a taxi? While it can be done, it is not easy,” Wright added. The American businessman said rail transportation is not necessary between the Clark airport and NAIA because airlines generally do not ticket or connect routes between sister airports in the same area. “For example, no one flies to Narita (Japan) and connects out of Haneda, or flies O’Hare (Chicago, USA) and out of Midway. So passengers, in general, rarely need or would use a rail connection between the airports,” Wright said. He said Clark International Airport should be developed as a major airport alongside NAIA. Just like in most cities around the world, two or 3 major airports are needed to service locals and tourists, as the number of flights continue to increase, Wright added. Wright cited the cases of Thailand that built a new airport some 30 kilometers away from the old airport; Japan, that built and operated Narita airport, some 60 kilometers away from the older Haneda airport; and Malaysia, that built a new airport some 45 kilometers from downtown Kuala Lumpur. During her visit here early this month, presidential aspirant Senator Grace Poe said she supports the full utilization of Clark International Airport, but added that a rail system connecting Clark to Metro Manila and the Ilocos, Cordillera and Cagayan regions is also needed to realize this. Liberal Party standard-bearer Manuel “Mar” Roxas II, who visited Pampanga last December, said Clark International Airport should be the country’s main international airport, but this cannot be done without support infrastructure, particularly a rapid rail system to bring passengers to Metro Manila. Another presidential aspirant, Davao City Mayor Rodrigo Duterte, said last December that one way of easing the traffic problem in Metro Manila is the use of Clark International Airport as alternative to NAIA and the building of a Clark-Metro Manila fast train system for passengers. Developing the Clark International Airport as a premier global gateway is a shared responsibility—meaning there should be concerted efforts and coordination between the government and the private sector—as its success would mean the decongestion of the Ninoy Aquino International Airport (NAIA), a development that would be felt across sectors. Aside from developing land transportation, developing a new runway and building support infrastructure, government agencies must also open satellite offices near the area to make the processing of travel documents for overseas Filipino workers faster. “Most of the passengers [who] fly out of Clark are overseas workers. We wanted the support of the Philippine Overseas Employment Administration and the Overseas Workers Welfare Administration for them to have satellite offices here at Clark,” Clark International Airport Corp. (CIAC) President Emigdio P. Tanjuatco III said. Cebu Pacific Spokesman Paterno S. Mantaring agreed, saying that this takes away the pain of traveling to Manila that passengers from the North have to experience just to process their papers. “Relevant agencies have also discussed the need to establish a one-stop government center in Clark, to provide easy access to basic government services for air passengers, especially overseas Filipino workers,” he said. Local carriers must also be willing to give Clark a second chance, as this would eventually entice passengers to use the airport and fill the gap between the supply and demand. To do this, the government may dangle incentives to airlines that are willing and able to move out from the NAIA to Clark. The five-year phased transfer will require at least six things, he added. “Clark needs a fourth terminal, the one they have already in blueprint that can handle 80 million passengers a year, which will make Clark an aerotropolis; a third one for low-cost carriers had been approved and is supposed to commence construction in 2016,” he said. He added that the airport needs a third runway at the opposite side of the aerodrome to allow simultaneous take-off and landing of wide-body aircraft, and also to allow the Airbus A380s to operate there. The third requirement is the construction of a high-speed railway line that will connect Clark and NAIA to allow for connecting flights. “Fourth is to encourage the operation of helicopter city hopper to connect Clark, particularly with Metro Manila, so that high-end passengers would have an alternative faster transfer service; business executives can even be arranged to land on top of the high-rise building they’d go to in the central business districts,” Zapanta said. The last two are the establishment of terminals for buses, rent-a-car services, and limousine transfers; and the strengthening of domestic-to-international transfer services. “Whether we like it or not, Clark will become an international gateway because there is no cure for the congestion of NAIA except Clark,” he said. Transportation Secretary Joseph Emilio A. Abaya said these recommendations are currently being looked at by his agency. The general direction for Clark, according to him, is for the government to improve its capacity to accommodate further growth. “The National Economic and Development Authority Board approved the Clark International Airport New Passenger Terminal Building Project last September. Right now, we are about to bid out the detailed engineering design for the development of this passenger terminal building. This project is part of the Clark master plan, which was developed by Aéroports de Paris,” he said. The new terminal will be done in three phases: the first phase will have an annual passenger capacity of 3 million. It will then be increased to 5 million during the second phase, and eventually to 8 million in the final phase. Abaya added that the government is also trying to address the need for faster connectivity by constructing a high-speed railway that will connect the northern and southern Luzon. “In terms of accessibility, there is a long-term plan to extend railway operations in the north through the North-South Rail Project. Phase 1 will be the P171-billion Japan International Cooperation Agency (JICA)-Official Development Assistance project that will connect Metro Manila to Malolos in Bulacan; and Phase 2 will be handled by the Bases Conversion and Development Authority that will connect Malolos to Clark International Airport,” he said. This, however, will come only in the next five years, according to a timeline provided by Abaya’s office. While Clark has been perceived as a Band-Aid solution for Naia’s woes, the development of a new airport based in Sangley Point in Cavite is seen as the long-term answer to the chronic mess at Manila’s main gateway. The transportation department recently received a pre-feasibility study from the JICA that lists the possible locations of the new airport. The study pinpointed two Cavite-based locations, called Sangley 1A and 1B. As to the official location that will be endorsed by JICA, the transport chief can only speculate. Whichever the site will be, the statesman noted, however, his camp will be forwarding it to the country’s chief economic-planning body, the National Economic and Development Authority (Neda) Board. Sangley 1A is in the same site as the naval station in Cavite. The other one is near the central Manila Bay, between the military base and a reclaimed area. The first option will cost both the government and a private-sector partner less than the second choice. The first one only costs $10 billion, while the other is pegged at around $13 billion. The future airport will boast of four runways, which can handle 700,000 aircraft movements per year. It will have a rated capacity of 130 million passengers annually. The deal is expected to be implemented under the government’s key infrastructure program, mixed with funding from official development assistance. Commercial operations of the new air hub should start by 2025, just about 10 years from now. “Sangley came up only with Abaya apparently because it is in his district in Cavite. Clark has always been the subject of development since Fidel V. Ramos’s time. I prefer Clark. Sangley’s reclamation need is huge and will impede commercial shipping traffic in/out Manila Bay, among many other disadvantages,” Zapanta said. Philippine Airlines President Jaime J. Bautista added that given the amount of time that the government needs to construct a new airport, it is but wiser to consider Clark first before Sangley. “Sangley is a good plan. But it will take time, right? It will take about 10 years to 15 years to be completed. In the meantime, let’s fix Clark first,” he said. For his part, Cebu Pacific’s Mantaring said his camp is more excited with the soon-to-be-built Sangley Airport. “To cater to travelers used to Manila, it would be ideal to develop a new airport closer to the capital city, while forging ahead with the continuous development and improvement of NAIA. In particular, Cebu Pacific looks forward to the optimization of the NAIA runways with the development of rapid exit taxiways, which will allow up to two more aircraft movements per hour and significantly reduce consequential flight delays,” he said. American Chamber of Commerce Senior Advisor John D. Forbes and European Chamber of Commerce of the Philippines External Vice President Henry J. Schumacher both agreed that developing Clark instead of Sangley is the best option for the Philippines. “We support the dual-airport policy. Clark has been marginalized for two decades. With NAIA now at capacity, the government must be more serious about using Clark,” Forbes said. “Sangley and any other NAIA replacement is unlikely for 15 years. Unless Clark and other international airports are used more, tourist arrivals cannot meet targets.” The dual-airport strategy calls for the simultaneous development of both Clark and NAIA. “We support the dual-airport strategy. We believe budget flight, including part of Cebu Pacific, should be moved to Clark. This will require a fast transit bus or rail system. If it will work on Edsa from Quezon City to Makati, the bus transit could be extended to Clark,” Schumacher said. But for Philippines AirAsia President Joy D. Cañeba, there is no reason for the government not to develop both airports at once. “Clark is already a viable airport. Let’s develop this first; but there is no reason for us to develop only one or two major airports as the demand for air travel has grown exponentially and the growth is forecast to continue with increasing low-cost airline operations and the expanding middle class and the Philippines is losing opportunities if we do not start building, expanding and improving airports now,” she said. The transport chief, for his part, said the government will be keen on developing all three airports to reap the benefits of the ballooning domestic and international traffic volumes. “The government is developing Clark and is, likewise, going to develop a new Manila international airport. The short- to medium- term plan is to develop NAIA via public-private partnership to expand its capacity in order to meet projected throughput until 2037, which is estimated at 51.4 million passengers per annum. The proposal is for a 15- to 20-year concession under an operate-rehabilitate-add-transfer scheme at an estimated cost of over P120 billion,” he said. This project, expected to be completed by 2017, is still for the approval of the Neda Board. “We are developing Clark by building a new passenger terminal building, which will eventually increase its capacity to 8 million passengers annually. In the long term, JICA is finishing its site-location study on the new Manila International Airport,” he said. But with all these only expected to be completed in a matter of decades, the Philippines will continue to lose its potential passengers to its neighbors in the region. DOMESTIC and international air traffic volumes in the Philippines have ballooned over the past decade averaging 10% annually since 2005. While seemingly a positive development, this is still seen as both a boon and a bane to the rising tiger of Asia. The increased volume means an upward tick in revenues from tourism, one of the growth drivers of the country’s local output. But with airport facilities remaining as they were 10 years before, the Philippines will continue to carry that stigma of having one of the worst airports in the world, no thanks to runway and terminal congestion at the Ninoy Aquino International Airport (NAIA). situation places the Philippines at the losing end, with potential revenues from traffic lost to other hubs in the region. “Recent trends suggest that capacity constraints are resulting in traffic being lost to other regional hubs, rather than being recaptured by Clark International Airport, to the detriment of the economy of the Philippines,” it said. The Japan International Cooperation Agency (JICA) expects the NAIA to handle some 37.78 million passengers this year, way beyond its 30-million annual passenger capacity and a few notches up from its maximum capacity of 35 million passengers per year. With this on the table, the government has moved to address the looming problem of accommodating more passengers and airplanes in Manila. One of these initiatives involve the construction of an airport that will replace NAIA down the line. This airport, however, will only be built by 2025—at least according to estimates given by JICA, if the current government opts to have the project rolling during its term. The loophole to this equation, according to Avelino L. Zapanta, an aviation expert, is that Manila will continue to see its numbers rising, averaging at a tenth every year, and yet, capacity will remain the same. Such a scenario will lead to delayed and canceled flights, longer queues and even warmer terminals. Instead of waiting for this to happen, the government, he said, should consider the dual-airport strategy of developing Clark International Airport and NAIA. “I have advocated the use of Clark as international or domestic gateway and the Naia for purely domestic gateway as means to decongest NAIA overnight. But the transportation department is not listening,” Zapanta said. 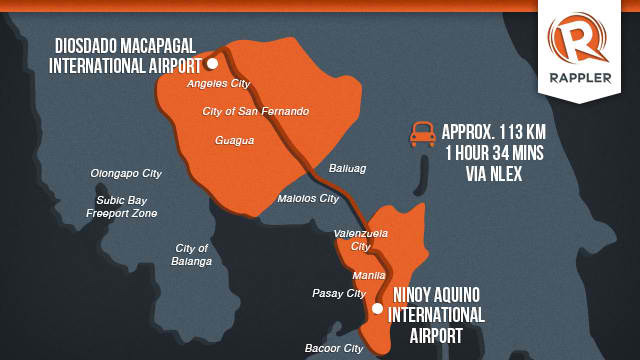 The Department of Transportation and Communications (DOTC), he said, is too engrossed with the idea of building an airport in Sangley Point, Cavite, a prospect that will only materialize in a decade, at the fastest. “It is enamored with developing Sangley as a new international airport. But our problem is here now and its solution is for long term —2025 in their view; much longer in mine. Clark can handle all international operation in a five-year phased transfer of foreign airlines and local airlines doing international operations with some accompanying developments,” he said. Clark International Airport Corp. President Emigdio P. Tanjuatco III said the airport is currently underutilized, with about 870,000 passengers accommodated in 2014, way below its rated capacity of 4 million passengers per year. Currently, there are only seven airlines operating out of Clark. Of the figure, only one, Cebu Pacific, is a local carrier serving a few international and local flights. “Compared to the NAIA, which averages at around 42 flight movements per hour, we can easily distribute slots to airlines, because we still have a lot of capacity,” Tanjuatco said. The airport in the north, formerly known as Diosdado Macapagal International Airport, has two 3,200-meter parallel runways equipped with various navigational aids and lighting facilities, rated the highest for precision approach by the US Federal Aviation Authority. It has a single terminal with an annual capacity of 4 million passengers per year, but plans to construct a P7.2-billion terminal is now in the works. Clark was envisioned to be the future primary international gateway of the Philippines once the NAIA reaches its full capacity and when the main airport can no longer expand. It was envisioned to be an aerotropolis —an aviation city—with businesses and industries moving in to the former US airfield. Former President Fidel V. Ramos ordered the development of Clark to be a premier gateway to the Philippines, with capacity expansions envisioned to reach 14 million passengers by 1998. The Bases Conversion and Development Authority crafted a master plan for the development of the airport, but unfortunately, the plan remained on paper and never materialized. Despite this setback, Clark’s facilities, Tanjuatco said, can still accommodate the projected 6 million passengers that Clark would have accommodated, if only there were more commercial operations out of the airport. “According to a market study that we conducted, there are about 6 million potential passengers within the area last year. It would have been more practical for them if they flew out of Clark, but there were limited flights,” he said. These potential customers, Tanjuatco said, reside in Central and Northern Luzon. Clark, he said, can serve the two regions, part of Southern Tagalog and the National Capital Region. “There is a market for Clark. Central and Northern Luzon has a population of about 23 million. Calabarzon and the National Capital Region, likewise, have almost the same. We can serve them. The catchment area of Clark last year is 6 million passengers, but 5 million flew out of NAIA. The rest flew out of Clark. If only there were flights out of Clark, then we could have served the 5 million passengers from here,” he explained. Zapanta added that such a catchment area is at least 75 percent of Metro Manila, hence, Clark is really a viable option. “The market is North and Central Luzon—developing as tourism areas already. The combined volume of these catchment areas is at least 75 percent of Metro Manila, also North Metro Manila, which has faster access to Clark compared to the Naia,” he said. But despite this, the government and local carriers are still much focused on the capital airport, as it is nearer to the central business districts of Makati City and Bonifacio Global City when compared to Clark. Hence, the problem, according to a 2011 JICA report on Philippine airports, lies on the lack of proper planning and asset utilization. “There is strong growth in demand for greater capital region air travel. Despite capacity constraints at NAIA and available capacity at Clark, airlines and passengers continue to focus on NAIA,” it said. Improving Clark’s margins is a chicken-and-egg situation, Tanjuatco lamented. “Increasing flights out of Clark is really an airline decision. Airlines will always look for the lucrative destinations to add to their networks. The disadvantage of Clark versus Boracay and Davao is that these latter two are already destinations in themselves. Clark is not much of a destination, that’s why we are pushing for tourism in the north to also be heightened,” he said. The president of the airport also acknowledged the need of airlines to see returns from millions of pesos in investments in a route. Local airlines, however, are not too convinced with this argument. Mactan-Cebu International Airport (MCIA) landed in 18th place; Iloilo Airport ranked 21st; and CRK snagged the 24th place. 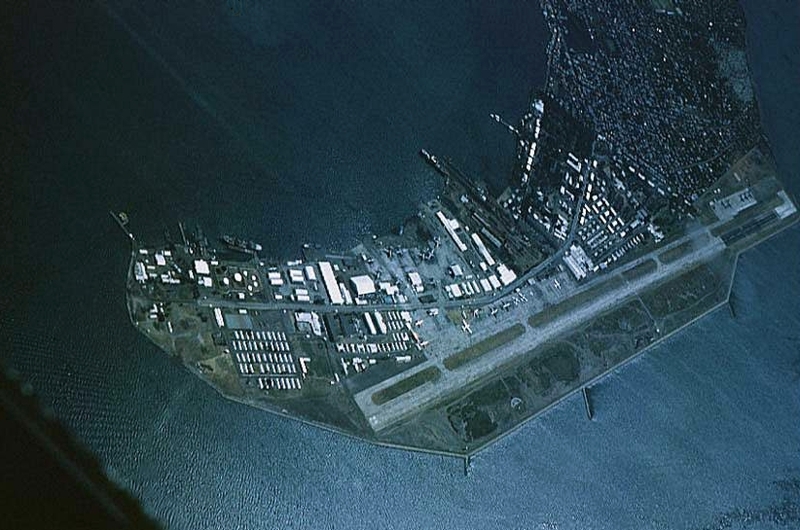 Then known as the Mactan Air Base, the Mactan–Cebu International Airport in Lapu-Lapu Cityin Mactan Island was built in 1956 by the United States as an emergency runway for Air Command bombers. Now, it is second to Manila’s NAIA in terms of being busy airport in the Philippines. It houses both domestic and international operations and has an annual capacity of 4.5 million passengers. By 2018, the country’s second biggest gateway is expected to have a new world-class passenger terminal building and become the first-ever resort airport in the Philippines. The fourth busiest airport in the Philippines can be found in the municipality of Santa Barbara in Iloilo. Started its operation in 2007, it was the first airport in the island of Panay to be built to international standards. Serving the vicinity of central and northern Luzon, Clark International Airport is located in Clark Freeport Zone between the cities of Angeles and Mabalacat in the province of Pampanga. It houses flight destinations to Kuala Lumpur, Seoul, Hong Kong, Macau, Singapore, Busan, and Doha. Its only domestic flight is to Cebu. The Clark International Airport Corporation (CIAC) is optimistic that the newly approved expansion project at the Clark International Airport (CRK) will help increase flights, improve business and boost tourism in Central Luzon. Atty. Emigdio Tanjuatco Jr., CIAC President/CEO, said the new project, costing R15.3 billion, is the new passenger terminal building at the CRK, whose development and expansion have been authorized by the National Economic and Development Authority headed by President Aquino. Tanjuatco said the R15.3-billion world-class Passenger Terminal for Clark International Airport (CRK) will be bidded out and constructed next year. The first phase of the project will see the development of a passenger terminal that can accommodate 3 million passengers annually. It is expected to be completed within two years. “The (airport expansion) project will include the installation of equipment, airfield and facilities,’’ said Tanjuatco. “The realization of development and expansion of the airport will lead to increased passenger flights as well as business and tourism in Central and Northern Luzon. Once this is completed, it can accommodate more than three million passengers a year,’’ he added. The CRK is poised to become the premier international gateway based in Pampanga, next to Ninoy Aquino International Airport (NAIA) in Manila.. The Department of Transportation and Communications (DOTC) had tapped the services of French firm Aeroports de Paris in 2014 to conduct a feasibility study as well as draw up the master plan for the new Passenger Terminal as well as other areas at the 2,367-hectare Civil Aviation Complex. The current passenger capacity of the existing Passenger Terminal is at 4 million per year being utilized by budget airlines and full service airlines operating 24 hours a day. The Clark airport is currently hosting a number of air carriers such as Qatar Airways, Asiana Airlines, Cebu Pacific Air, CebGo, Tiger Air Singapore, Dragonair, Jin Air, and Air Asia Berhad. Budget carrier AirAsia has revived flights from the Clark International Airport, but it did not use its Philippine subsidiary that stopped flights from the gateway in Pampanga province early this year. The carrier said in a statement that the new service, using the Malaysian carrier’s flagship AirAsia Berhad, would fly four times a week between Clark and Kuala Lumpur, Malaysia. Clark International Airport Corp. president and CEO Emigdio Tanjuatco III said in a statement that the return of Air Asia to Clark was more than welcome. Clark Airport has struggled in luring large numbers of passengers, and subsequently, major carriers, due to its distance from Metro Manila. Tanjuatco also hopes that Air Asia Philippines will transfer its operations to Clark Airport. “We also hope based on the conversations with [AirAsia Philippines CEO] Maan Hontiveros that they are very impressed with the new developments at the airport and that they will try to convince their Manila operations to transfer at Clark,” Tanjuatco said. “I think this is a positive development for Clark Airport. On our part, we will try to keep them satisfied, make sure that all their concerns are addressed and build a better relationship with Air Asia,” Tanjuatco said. “We are very happy as well as the passengers who are excited [about] the return of Clark-Kuala Lumpur flights at Clark Airport and we will continue providing a much better travel for our passengers taking their flights at Clark,” Hontiveros said. Air Asia Berhad flies four times weekly via Clark-Kuala Lumpur using its Airbus A320 aircraft. More than 100 passengers departed from Clark Airport to Kuala Lumpur in Malaysia during the re-launching of the international flights at Clark. 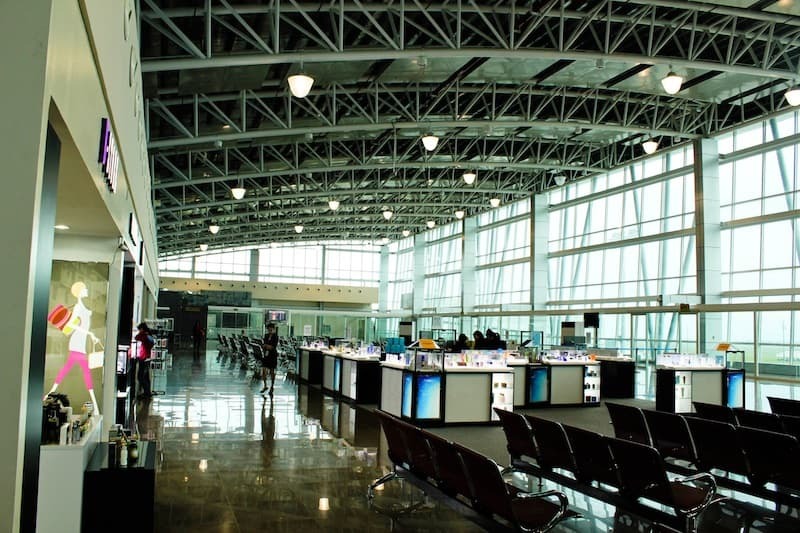 Clark Airport is also host to other air carriers such as Cebu Pacific Air, Asiana Airlines, Jin Air, Dragonair, Seair-International, Tiger Air and Qatar Airways. Source: Miguel R. Camus, PDI.